Many times the work of others goes unnoticed... our Chadron Police Department deserves to be recognized for the work they do behind the scenes. Our officers have supported our schools in many ways; and one of my favorites is their Shop with a Cop program. 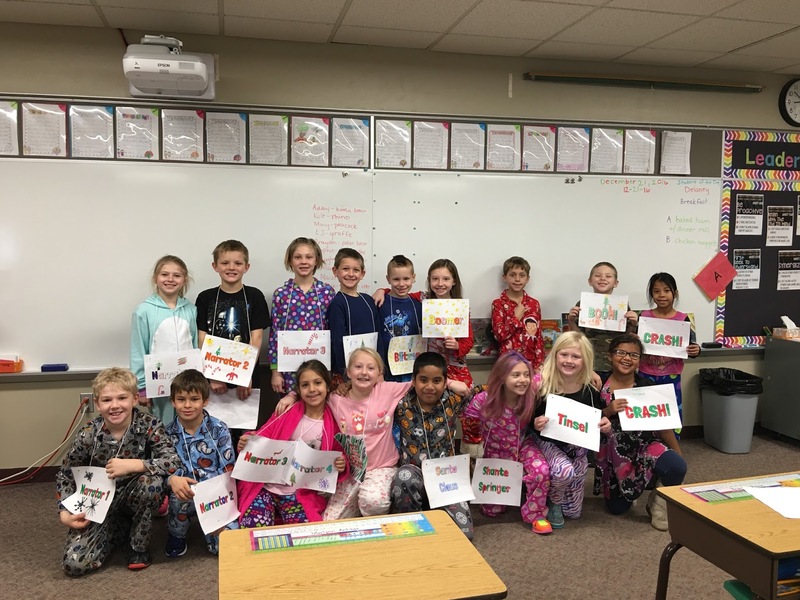 Every year our Police Department is given a quite extensive list of names of students who may need a little extra love during the holidays. This program is funded through generous donations from staff members at Chadron Public Schools along with community members. 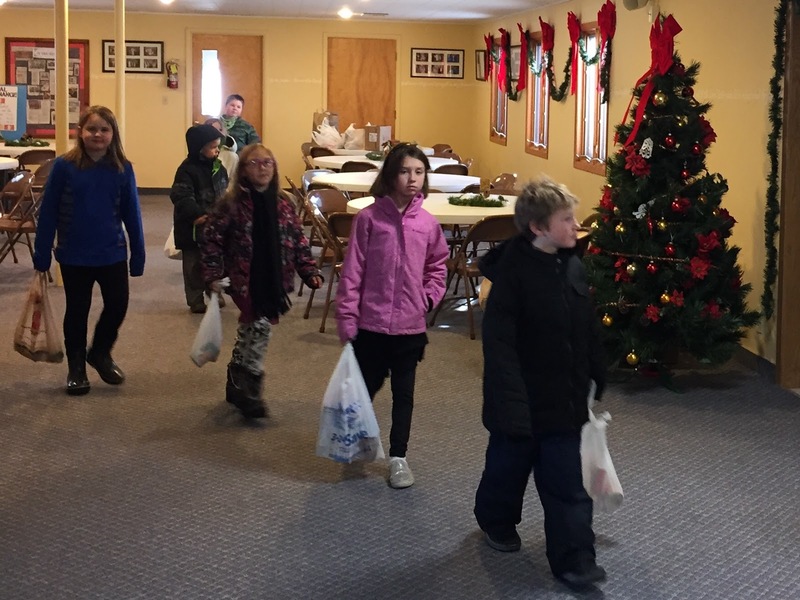 The officers make contact with families and then take individual children shopping. 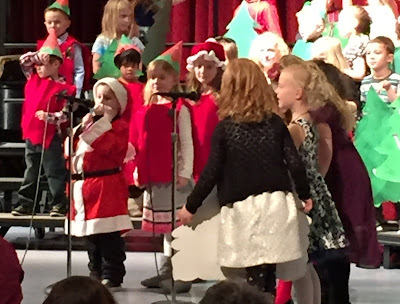 Often the children are excited for the possibilities, but every so often a student is timid and nervous about the event. 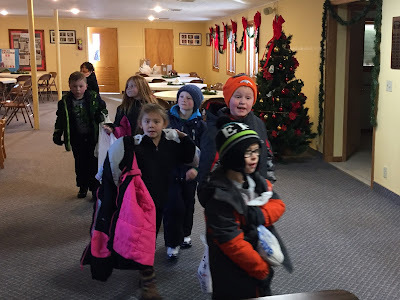 This year I was fortunate enough to accompany one of our young students on this adventure. I cannot tell you what a heartwarming experience this was for me - to watch a little child teary eyed about going somewhere with a police officer and principal to being elated about the "goodies" when we finished. 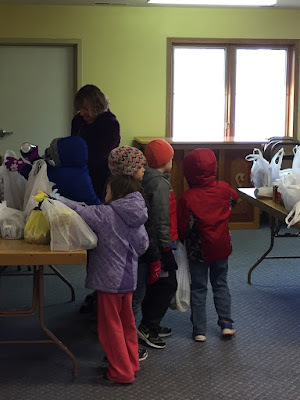 We shopped for clothing, snacks, toys, and some personal care items. When we were ready to drop this kiddo off at home, I asked what was most exciting and the reply was, "My toothbrush!" The other excitement came from the new jeans and a stuffed animal. 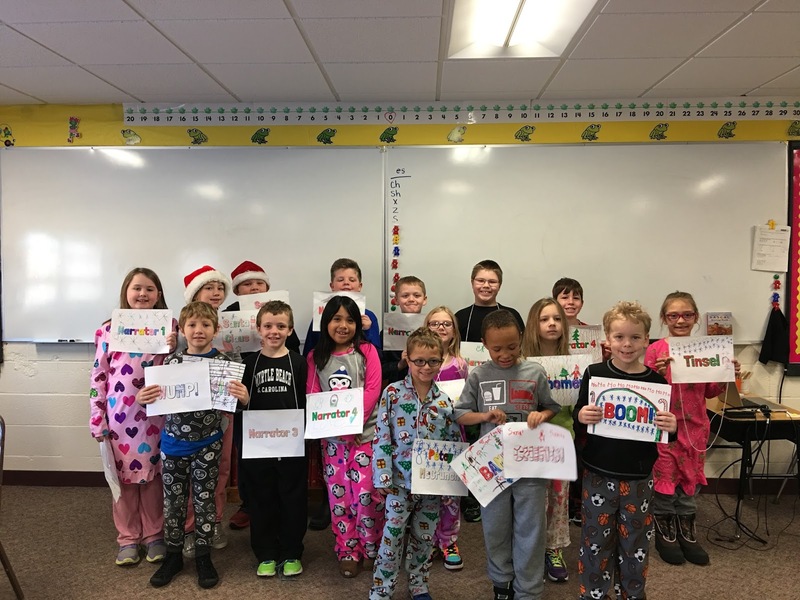 Here at Chadron Primary we want to extend our deepest gratitude for our Chadron Police Department and everyone who made donations to this incredible experience!! We wish you all a very Merry Christmas and Happy New Year!! The Second Grade Students performed their Reader's Theater to Kindergarten Students Wednesday morning and did a wonderful job. 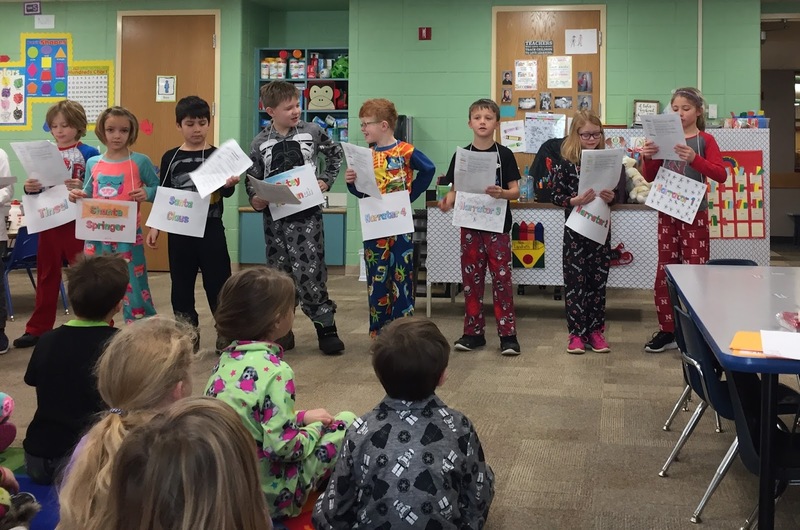 We had a school-wide pajama day and the students were all excited to perform and listen to the plays. Mrs. Kaus and Mrs. Smith in the library have been working with the second grade classes and it was so exciting to see their hard work turn out so well. Chadron Primary School would like to send a HUGE thank you to all of our families that helped contribute to our Food Drive. 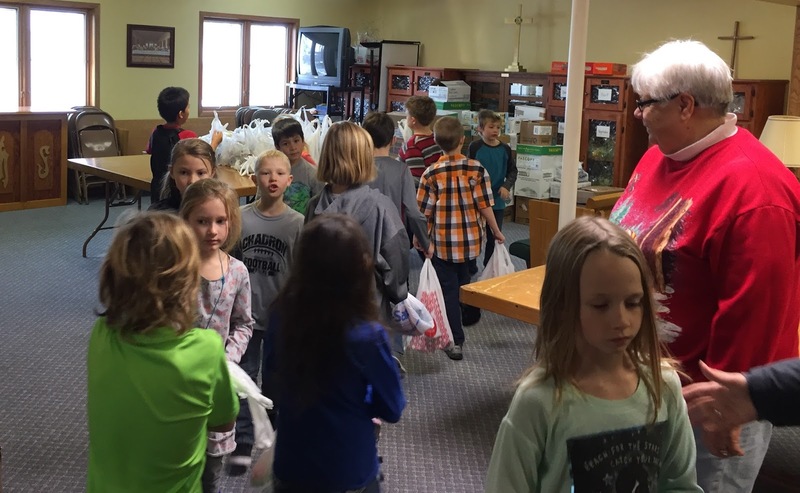 In lieu of presents to one another, our teachers asked students to bring canned goods we could take to the local food pantry. 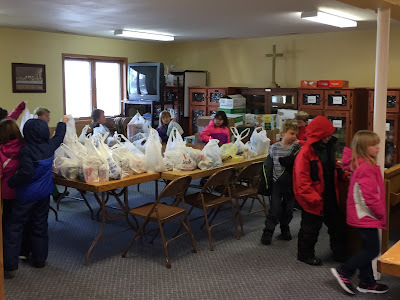 On Tuesday we were able to deliver the food to the church. 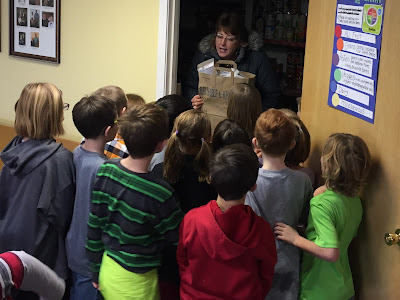 Our students were given a tour of the food pantry and able to talk to Mrs. Dagen about how many people these wonderful donations help out year round. Again, THANK YOU SO MUCH for your donations! 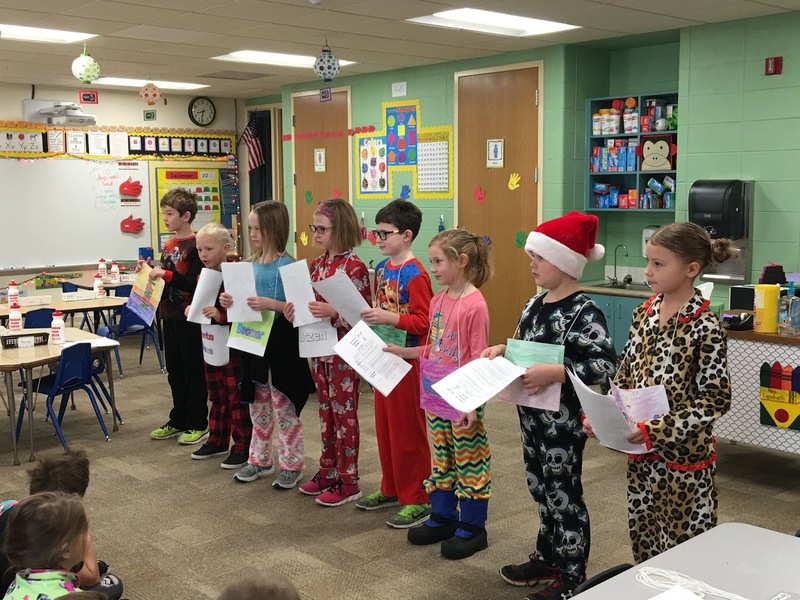 Once again we had some incredible students selected as Cardinals of the Month! They continue to exhibit our Cardinal Rules and we are so proud of them! 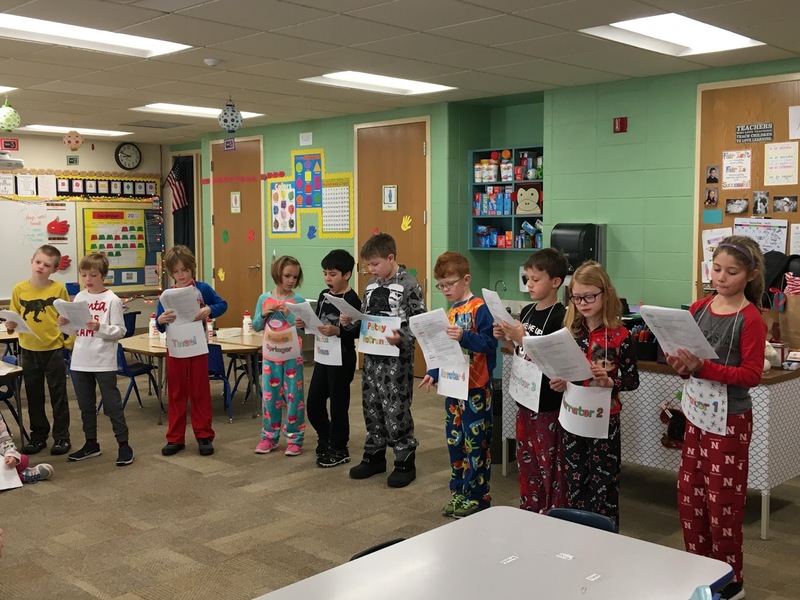 We enjoyed breakfast in the teachers' lounge before classes started Tuesday morning and we all want to congratulate the students on a job well done. Back Row: Fletcher S., Tyson P., Delaney J., and Josey W.
Middle Row: Ryder N., Reid G., Brynn B., and Matthew S.
Front Row: Brody H., Zyler M., Brielle B., and Avarie D.
Monday night our Kindergarten Students had their Christmas Program at the high school. Mrs. Dickerson does a wonderful job of coordinating the program and the students did a FABULOUS job!! Thank you to all of the volunteers who help make this night such a success!! 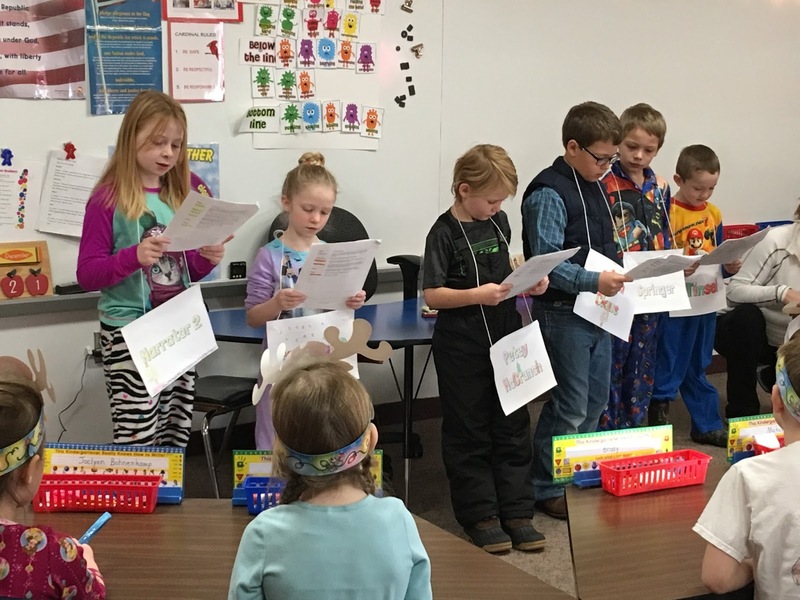 This week Mrs. Smith brought her 7th grade students to Chadron Primary so they could share some Ebooks with our Kindergarten classes. 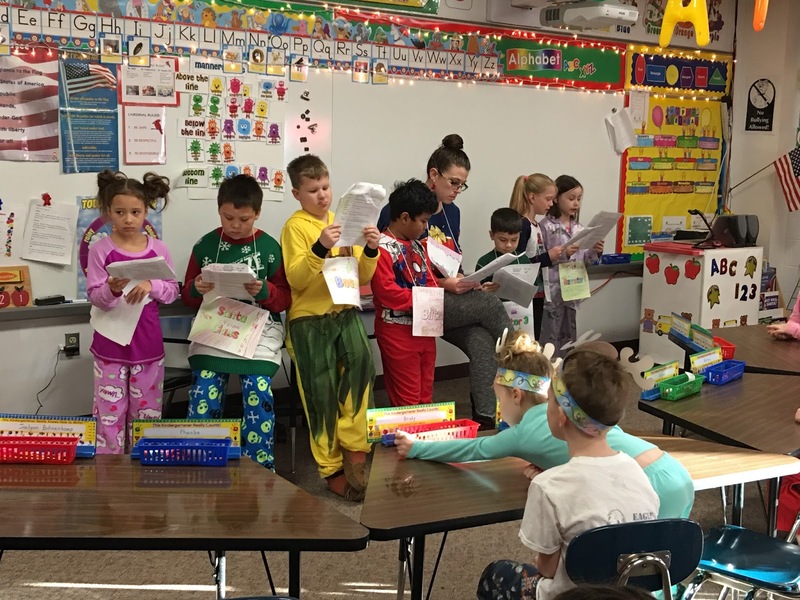 The students were quite excited about having the middle school students come read and the teachers enjoy seeing their former students excel. 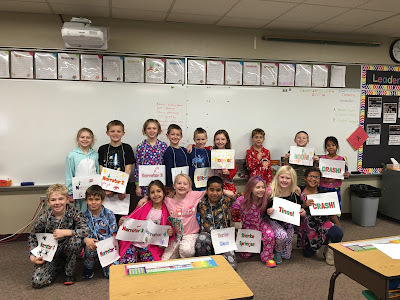 Thank you so very much Mrs. Smith for bringing your students over.